I have a challenge, and each person who completes the challenge by the deadline will be rewarded with a set of my cutting files. See the attached photo. 1. The deadline for challenge submissions eligible for the reward is midnight Pacific time, November 15, 2015. You may submit your entries any time between now and then. 2. Work through any tutorial of your choice, posted at either the MTC_Tuts, or my Youtube channel. 3. Cut out your design on the cutter of your choice, and decorate it. 4. Take a photo of your completed project. 5. Respond to this post with a note about your project, indicate the name of the tutorial you completed, and attach your photo to your response. Tell us what you learned! 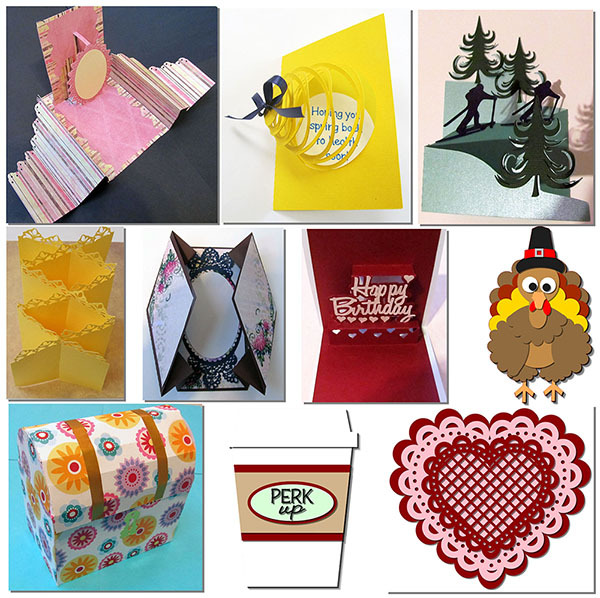 Send me a private message with your email address so I can send you the reward cutting files. 6. When I see your Challenge Entry note and photo, I will send to you privately via email, the reward of a set of my cutting files in multiple formats, that have not been shared elsewhere. 7. You may enter multiple times, but there is only a single set of reward files available at this time. 8. Designs and photos of projects completed any time prior to October 18, 2015 are not eligible for the reward. 9. Do not use designs created by anyone but yourself. 10. The project does not need to be difficult or elaborate. 11. Do not share your reward files with anyone else. Please encourage others to take the challenge themselves and earn their own. 12. If you create a unique design, you are welcome to share your cutting file here if you want to. I look forward to seeing your complete projects! Jules I use your tutorials all the time. I try and do the homework from the webinaires. I may not always cut them out but they have helped me so much in learning MTC. I will try and get at least one new project cut and photographed before the deadline. I've been making a lot of quilts lately. I took on too many projects with deadlines for Christmas Presents. I sure hope you can continue your videos. You are appreciated more than you know. Thank You!!! !